Bates Motel fans are in for a treat. Deadline reports A&E will air a half-hour special after the series finale premieres in April. The drama is currently in its fifth and final season. Based on the film Psycho, the drama stars Freddie Highmore as Norman Bates, a young man with a murderous devotion to this mother. The cast also includes Vera Farmiga, Max Thieriot, Nestor Carbonell, and Olivia Cooke. After the series finale of Bates Motel debuts on April 24th, A&E will air Bates Motel: The Check Out. The special will feature Highmore, Farmiga, and Carbonell alongside EPs Kerry Ehrin and Carlton Cuse answering fan questions and discussing the series. What do you think? Do you watch Bates Motel? Are you enjoying the final season so far? I’m a big fan, love the movies. But I miss the iconic score in the series. Between seasons they left gaps for way too long, and now it seems like is starting to drag ( pun intended ). Can’t wait for the Pycho episode and the shower scene. After that I will really make up my mind about the whole series. I love the show.I watch it all the time. It did start to drag and repeat itself at times however I still enjoyed it. I thought the conclusion was tonight Monday, May 1st and am disappointed not to see it listed. When is it? It ended last week stating there was one more. What’s up with it I wonder. I surely wish this is as not the end. My favorite show right now. I’m 63yrs old and want to see more. I lived for Hitchcock’s movies back in my young days. Love! Love! LOVE this show & sad to know it’s coming to an end. 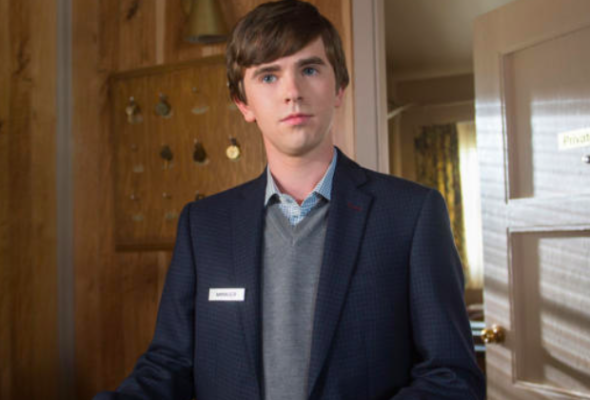 Freddie Highmore is absoutely phenomenal playing Norman Bates. I will miss not watching every week. Absolutely love the show!!! I love the development of each of the characters. It is totally unique yet ties into the movie, so much, that the movie seems like it would have been the natural progression after the series. Vera and Freddie are an amazing duo. Nestor is so complex that you just have to love him. The whole cast is so talented. I hate for it to end, yet, it must, chronologically and logically, speaking. I love the show! I will really miss the cast and story line….but all good things must end! cannot wait to see what happens! It’s been a good run. I’ll miss it but it’s time for a good scary ending. I love the show! Going to miss it! Great cast of actors and actress’s! This show is complete brilliance. Tv at its best. Perfection all round. It draws you in n then yoyr hooked. When u watch you cannot take your eyes off the screen. The acting is off the charts. Every aspect of this is just mind blowing. So so very sad to see it go. Bates Motel!!!! The Best!! !